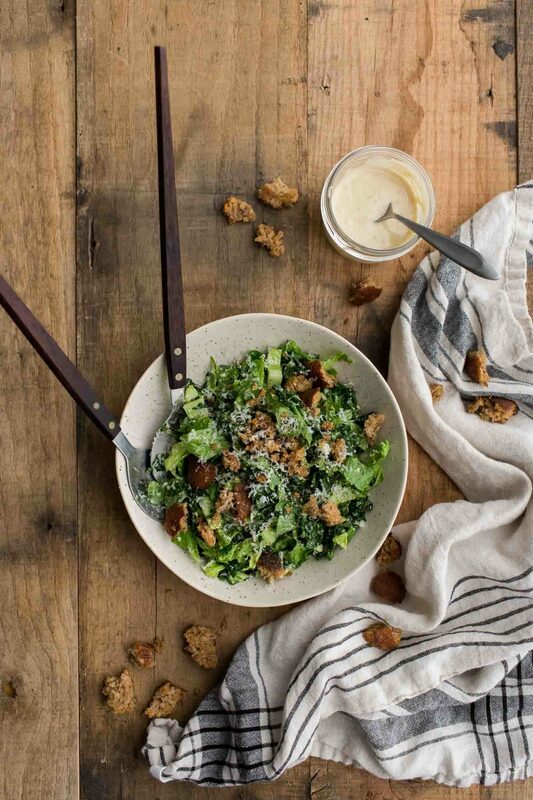 Tahini Kale Caesar Salad with Whole-Grain Croutons | Naturally. Of all the cookbooks I’m sharing this summer, Love Real Food is one of the books I am most excited about. I’ve known Kathryne (aka Cookie + Kate) for years- she was one of the first bloggers I connected with, primarily because our styles of cooking were similar. It’s been exciting to watch her grow her site and now I’m beyond excited to hold a collection of her recipes in my hands. 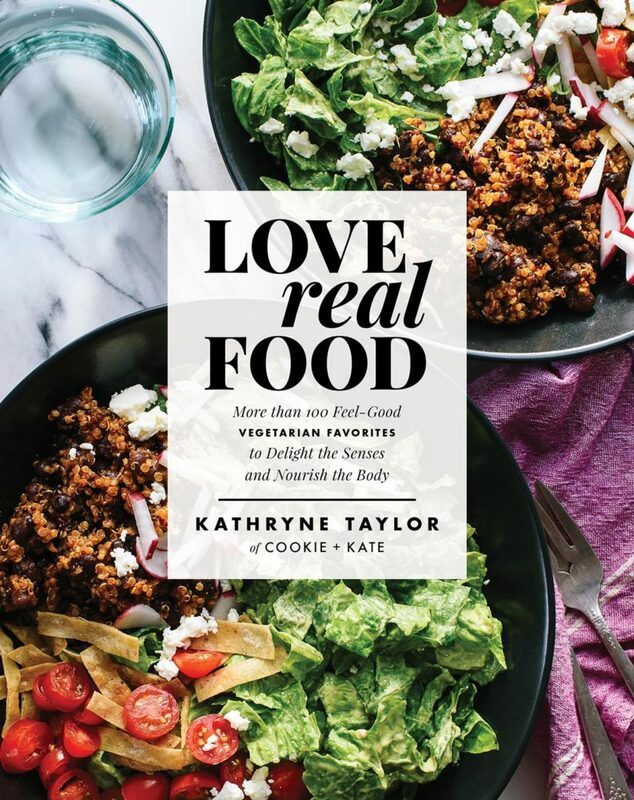 Love Real Food is a beautiful compilation of recipes that showcases Kathryne’s approachable plant-based cooking. I decided to share her kale Caesar salad. Caesar dressing is one of those sneaky items that you might think is vegetarian but thanks to anchovies, it’s not. Kathryne whipped up a smooth and tangy tahini dressing that is the perfect vegetarian adaption. Add to that her trick for the perfect kale salad (salt massage!)) and you have one delicious kale caesar salad. A lovely vegetarian salad that features a tahini caesar dressing that tastes amazingly close to the traditional Caesar dressing. From the book, Love Real Food by Kathryne Taylor. To make the croutons: Preheat oven to 400˚F. Place the cubed bread on a large rimmed baking sheet and drizzle with olive oil. Toss until the cubes are lightly and evenly coated in oil, then arrange them in a single layer. Sprinkle the cubes with several dashed of salt. Bake until golden brown and crisp, 7 to 9 minutes, stirring halfway through. To make the dressing: In a small bowl, combine the tahini, lemon juice, olive oil, garlic, mustard, and salt. Whisk until blended, then add the water and whisk until you have a smooth, blended tahini sauce. Season generously with black pepper (about 10 twists). The dressing should be tangy, like classic Caesar dressings. If it’s overwhelmingly tart or too thick to pour, whisk in an additional tablespoon of water. To prepare the salad: Transfer the chopped kale to a big salad bowl. Add a dash of salt and massage the leaves with your hands by scrunching big handfuls at a time, until the leaves are darker in color and the volume has reduced by about one-third. Add the chopped romaine to the bowl. 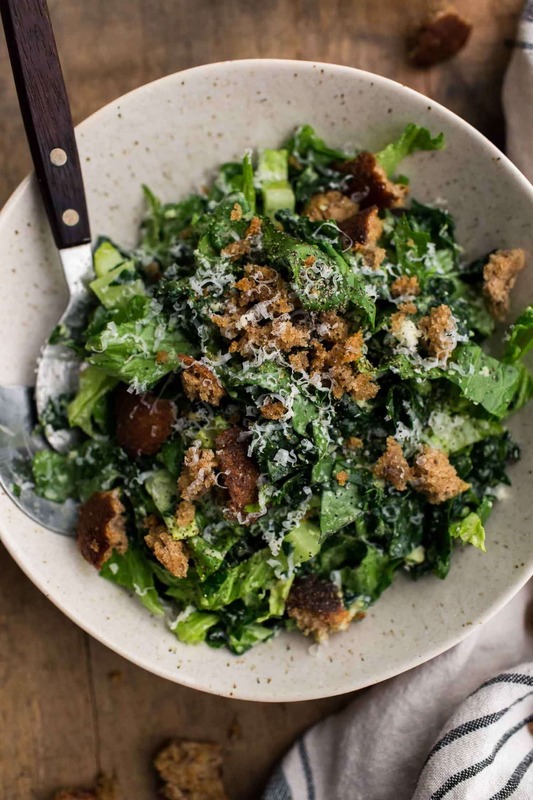 Wait to dress the salad until you are ready to serve, since the romaine and croutons get soggy if they’re in contact with the dressing too long. (If you plan to have leftovers, store individual components separately, and toss them together just before serving. When you’re ready, drizzle enough dressing over the greens to lightly coat (you might not need all of it). Toss until the dressing is evenly distributed. Add the croutons and Parmesan and toss again. Serve immediately. Tips & Tricks: If you’re looking to keep this vegan, Kathryne says to use 2 tablespoons nutritional yeast instead of the Parmesan. Link: This recipe is reprinted with permission from Rodale Publishing. Recipe can be found on page 72 of Love Real Food from Kathryne Taylor of Cookie + Kate. I don’t like to vary too much from recipes I share from others but this salad lends itself well to a feel meal ideas. We eat a lot of salads-as-mains during the summer and I’m obsessed with this dressing now. This means this salad is on our weekly rotation! Roasted Chickpeas: I like to make this salad a main by adding crispy chickpeas. Bread: Kathryne uses multigrain bread but I also loved this salad with rye. Wraps: I made M a couple lunch wraps using this recipe. I left off the croutons and add the salad in a wrap with mashed chickpeas. This looks delicious! However, in the directions for the salad dressing, it mentions lemon juice, but lemon juice is not listed as an ingredient? How much lemon juice should be used (if at all)? Ah, shoot- I’ve switched my system around recently and I keep losing ingredients! I added it to the ingredients- 3 tablespoons! I got this cookbook because I enjoy Cookie & Kate blog, but have not yet had the opportunity to try any of the recipes. I’m actually reading the book through – it’s good reading. A small correction for you: the non-vegetarian ingredient in Caesar dressing is actually anchovies rather than sardines. Thanks for this salad, which was a big hit at a potluck dinner picnic I attended. Love the tahini dressing! I used purple curly kale and added thinly sliced radishes for a little color next to the romaine. Decided to make a vegan topping by grinding together pine nuts, lemon zest, nutritional yeast, and sesame seeds to use instead of the croutons and cheese. Love your blog. A wonderful inspiration. Keep up the great work. Erin, I don’t know how I missed this post, but THANK YOU! I really appreciate it. Let’s catch up soon. xo! Hey! This looks delicious, and I can’t wait to try it 🙂 ! Just wanted to let you know though that it’s not actually vegetarian unfortunately. Parmesan cheese is always made with calf rennet (otherwise it can’t be marketed as parmesan). I nearly cried when I fount this out, but thought you’d be interested to know. Hi- actually, that’s only in Europe. 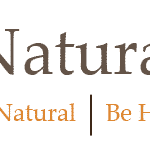 There are dairy companies in the United States making amazing parm from vegetarian rennet! Bel Gioso is one company (https://www.belgioioso.com/Products/Parmesan) and I believe Sartori Parm is also veg-friendly!